You don’t have the luxury to choose your colleagues and co-workers. However, barring a few exceptions, you might have amicable relations with most of them. After all, you spend almost half your waking life with them in the office! So, when somebody calls it quits and moves along to another firm or job, parting gifts are in order. Check out these farewell gift ideas for coworker to figure out the best gift for your office mate. The best parting gifts usually have a very positive, even humorous vibe. Anything that proves to be useful in their new office is also a great gift option. 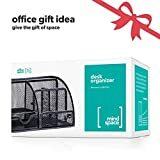 Give your colleague a spanking new desk organizer to help them settle down in their new office. With a sturdy metal base and durable metal mesh construction, this organizer is quite durable yet lightweight. It has a smooth ABS coating to prevent rusting and help it look brand new for a long time. There are six compartments ergonomically arranged to provide the optimum storage space in a very compact size. The inclusion of pull-out drawers gives this desk organizer some expandable storage. It also comes with a lifetime warranty, and it has rubber grips to protect the desk surface. 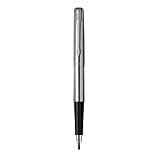 A high-quality pen is one of the greatest farewell gift ideas for coworker, for both your male and female colleagues. If they prefer fountain pens, they will love this Parker Jotter gift. It is available in a chrome finish with lots of secondary color choices, like orange, black, violet, and stainless steel. The feather-shaped medium-nib offers an extremely comfortable writing experience. It uses water-based ink cartridges, two of which are shipped as part of the package. With a distinctive Parker gift box, this pen will make a great parting gift to a colleague. 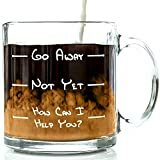 If your colleague likes their regular dose of caffeine then this quality glass mug from Got Me Tipsy will give them a smile every time they drink from it. The mug has several humorous lines of text written in bright white on the sides. The lines denote the decreasing levels of crankiness your friend goes through as they finish the contents of the cup. This is a classy way of poking some fun at your coworker. The mug can hold 13 oz of your preferred beverage. If your workmate prefers Styrofoam cups in the office, a cup holder is a better choice. This universal holder is a fantastic spill-proof gift option for people who are accident prone when handling steaming hot cups of coffee or tea. The cup holder uses a combination of straps and foam pads to attach to armrests. These holders can be used pretty much anywhere, in the office, on an airplane, in wheelchairs, scooters, and even stadiums. Made from 100% recycled plastic, this a very eco-friendly product that is easy to attach and easy to remove. These cards can help put a smile on people’s faces and make the perfect farewell gift ideas for coworker. It will help your friend adjust to their new office atmosphere better. With these cards, they will be able to tell complete strangers what they are feeling, without even having to open their mouths! These cards make great icebreakers and conversation starters. The gift includes 30 cards with different messages on a spiral bound stand. There are blank cards as well, for users to create their custom messages. 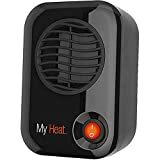 If your colleague has trouble adjusting to the office AC you should help them out with a personal ceramic heater from Lasko. This tiny heater will help them out if the AC in their new offices is kept at a lower than desired temperature setting. These devices have been designed to provide warmth only to the user, without increasing the ambient temperature in their room or cubicle. It is made from lightweight but durable plastic and has a power-efficient rating of just 200 watts. This is a small box that you can place on your desk for extra warmth. This is a small board and brush combo that can be used for some highly relaxing meditative breaks between work. The whole thing is based on the concept of Zen Buddhism. All you need to do is wet the brush with some water, and draw whatever you want on the unique painting surface. As the water evaporates, your drawings also disappear. You can paint, draw, or scribble endlessly without having to worry about inks or refills. All you need is water. The plastic board stands on its easel. This a great stress buster and one of the most relaxing farewell gift ideas for coworker. Magnetic putty is a great way to relax your mind and get the creative juices in the brain flowing. You just take the putty in your hand and do what you want with it: shape it, stretch it, pull it, anything at all. Unlike ordinary putty, this one has minute iron particles infused inside. When you bring a magnet close to it, the whole thing will come alive. Crazy Aaron’s putty is available in different shades like an oil slick, glow in the dark krypton, sunburst, twilight, liquid glass, and much more. You also get a ferrite magnet along with the putty. A novelty toy and an interesting desk ornament rolled into one, the Kikkerland decision maker is one of the most innovative farewell gift ideas for coworker. It has a metal ball on a string above a circular disk with different choices on the edges. The choices include Yes, No, Maybe, No Way, Definitely, Try Again, and Ask a Friend. All one has to do is take the ball into their hands and release. The ball will move around and finally settle on one of the answers. If your friend is confused about what to do, they can use this toy for some guidance. Also, it will make a great conversation starter in their new office. 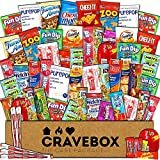 A great option for farewell parties, this care package includes 50 different snacks, as well as two beverage options. There is a wide range of sweet and salty snacks, so even the pickiest eaters will find something they love in this package. It also includes tea and hot chocolate, which is something you don’t often find in other similar products. When buying farewell gifts, try and pick products that stand out from the rest. It could be either due to innovative design, a special utility, or a combination of both. We hope you found something useful in our farewell gift ideas for coworker list. Also, for more inspiration, you can check out these gift ideas for coworkers as well. If you have any other interesting gift ideas, please share them with us in a comment below!